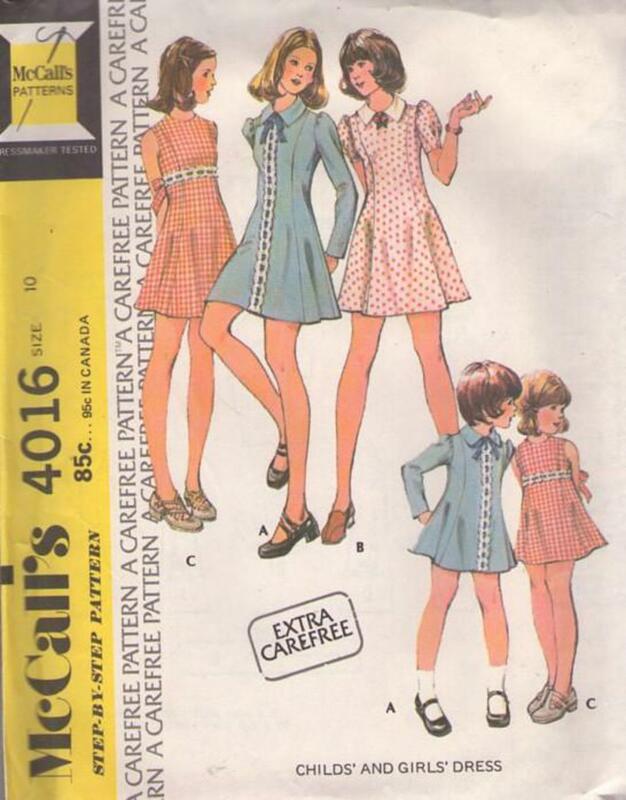 1974, 70s Teen Girls, Retro Mod Clothing Patterns - Princess dress has back zipper. 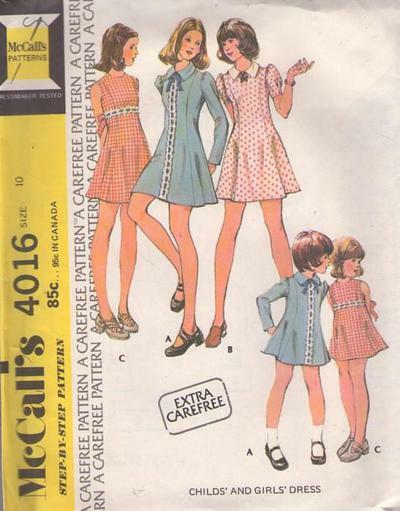 A, B has two-piece collar and puffed sleeves. A has beading. B has short sleeves with lower tucks. C has beading, tie belt included in side seams.